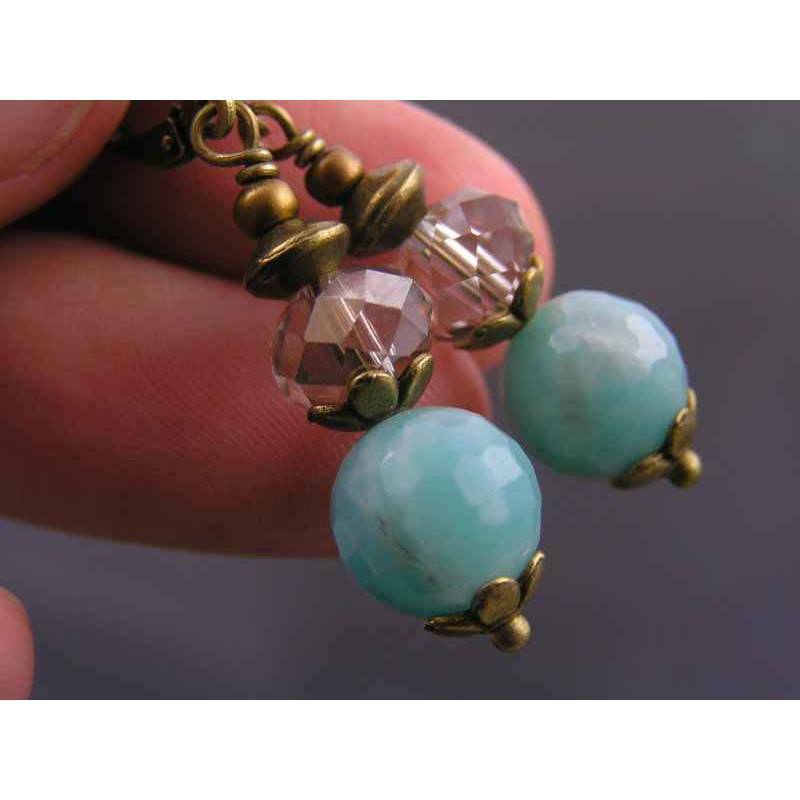 I used delicious, all natural micro faceted amazonite beads in a perfect medium size of 10mm and framed them with antique bronze bead caps. 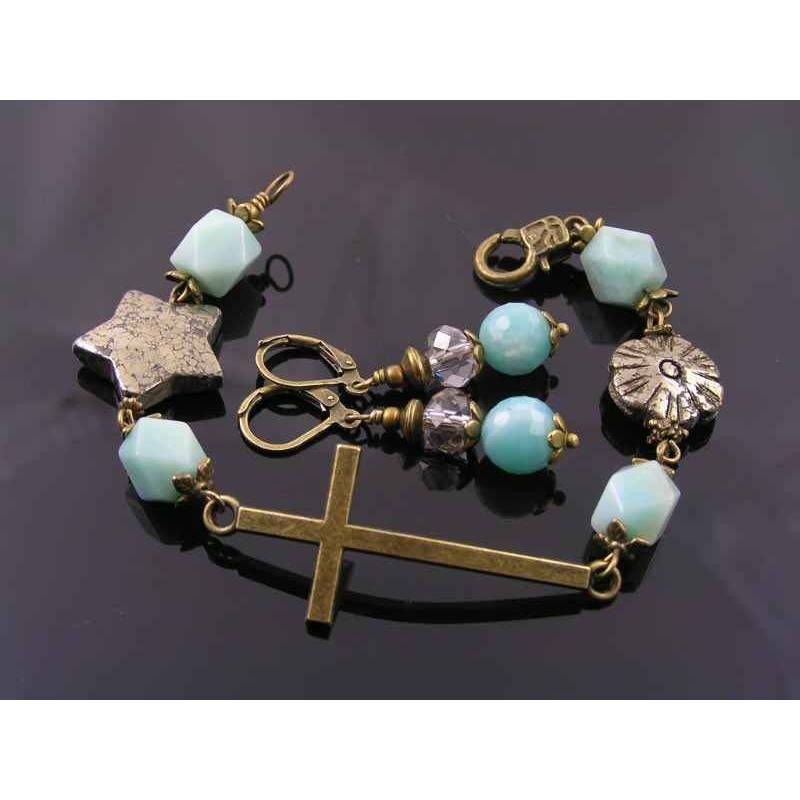 On top of the amazonite beads sit sparkling black diamond crystal rondelles. They don't add much colour but offer gorgeous, understated bling. 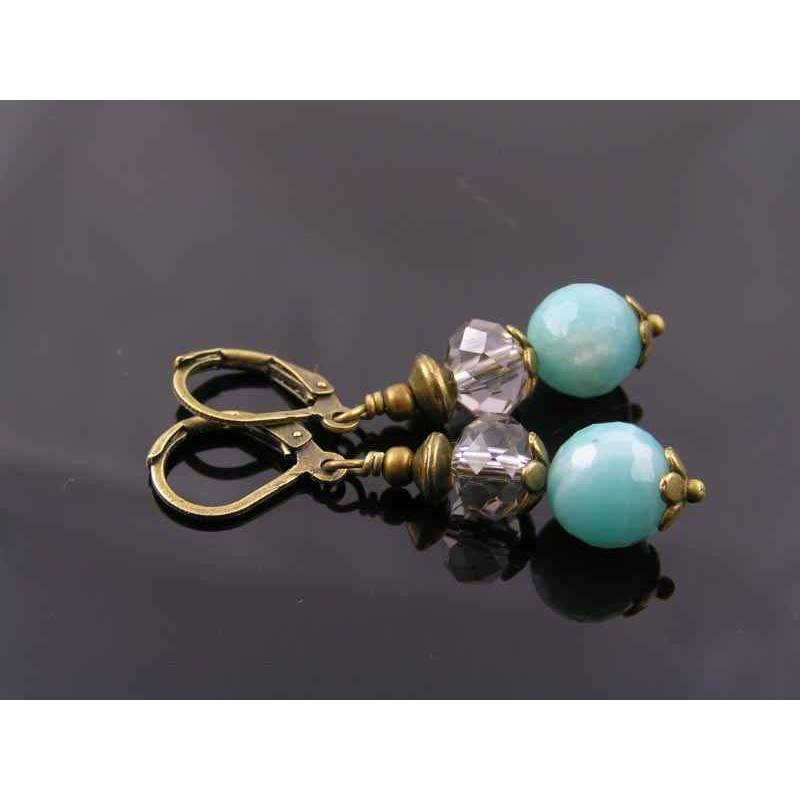 Dangling from secure lever back ear wires, the earrings measure 4.5cm in length. The last photo shows the matching bracelet, which has been sold, but can be re-created.